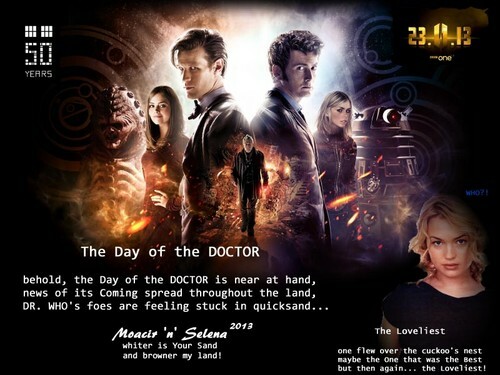 The día of the DOCTOR. Verses. HD Wallpaper and background images in the doctor who club tagged: doctor who dw fanart 50 years. This doctor who fan art contains animado, cómic, manga, historieta, anime, and dibujos animados. There might also be atardecer amanecer, puesta de sol, amanecer, signo, cartel, texto, pizarra, and letrero.